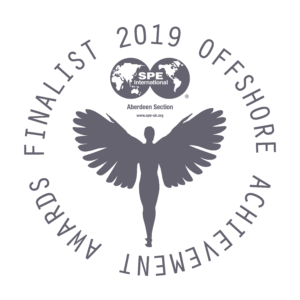 [ABERDEEN, March 15th 2019] Air Control Entech (ACE) is honoured to have been a part of this year’s SPE Offshore Achievement Awards (OAA). ACE was shortlisted as one of four finalists in the Innovator award category. ACE Founder and MD Kieran Hope was also shortlisted for an award in the Young Professional category. The caliber of the finalists in this year’s SPE OAA’s is a true representation of the talent and drive still present in Aberdeen’s oil & gas industry. To have been nominated and selected as a finalist in such a prestigious group of nominees is a powerful recognition of ACE’s work in the UKCS. ACE is committed to driving innovation, improved safety and greater efficiency in asset management and inspection. It is through awards such as the SPE OAA’s that the industry gets a sense of the momentum in Aberdeen’s oil & gas sector. Bringing the industry together to celebrate technical achievement and effort brings together a community of the brightest, all determined to move the industry forward into the future. ACE are delighted to have been shortlisted for two categories. It was a pleasure to take part in the evening and celebrate our peers and colleagues for their achievements in the industry. Air Control Entech (ACE) is the leading developer of UAV inspection technologies in the North Sea. Serving the offshore industry with purpose-engineered inspection UAV’s, ACE is driving standards of R&D in the industry. Research funding from the OGTC and partnerships with TRAC are enabling ACE to develop stronger technologies and serve a wider base of clients, with the goal of making UAV inspection smarter, faster and safer.